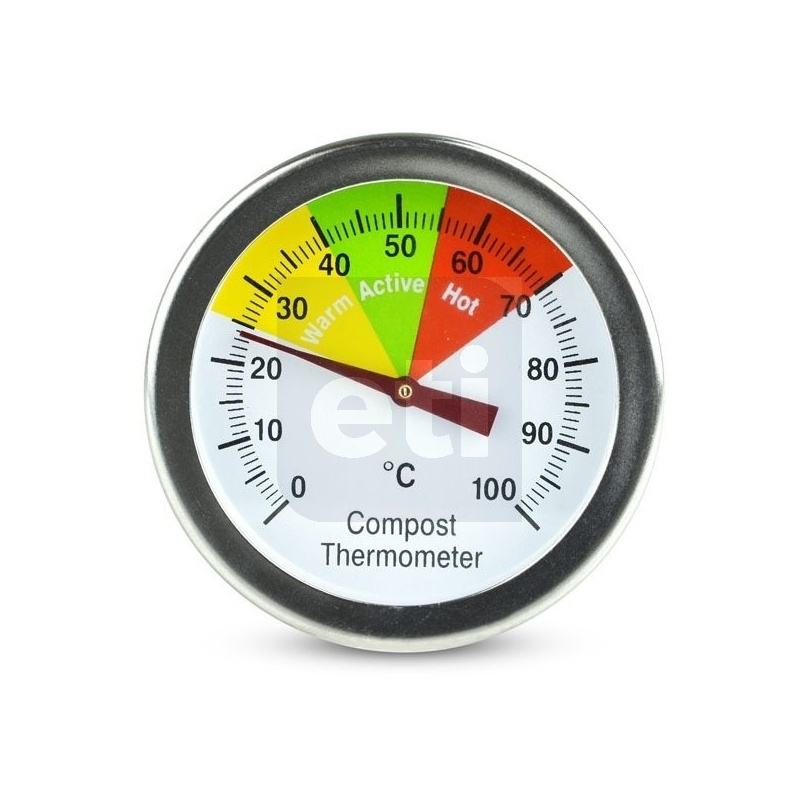 This bi-metal dial compost thermometer incorporates a colour-coded, easy to read dial. 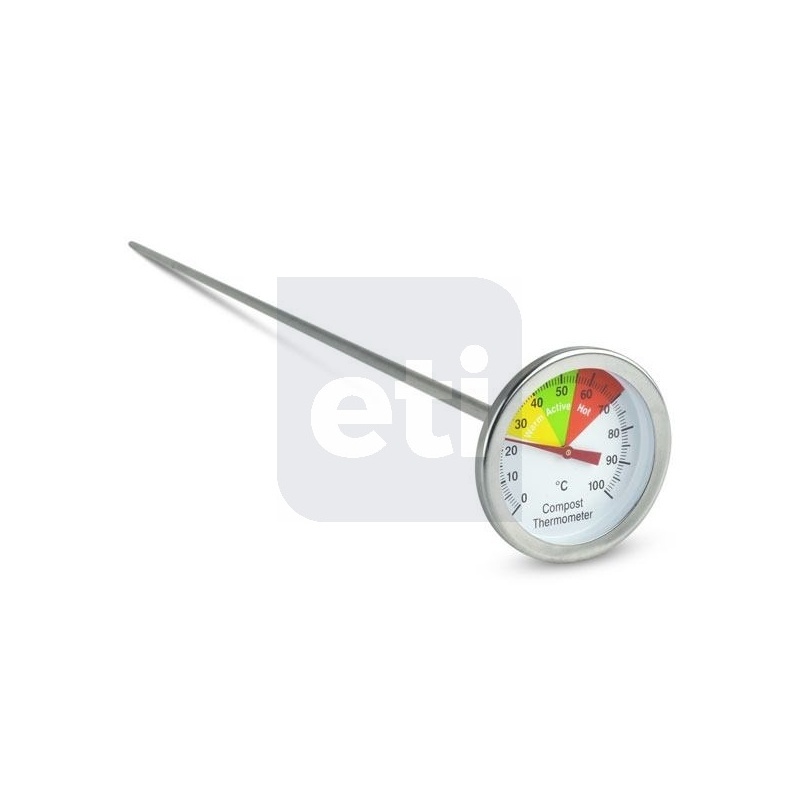 A compost thermometer is an important piece of equipment for any good gardener, in respect of ascertaining the temperature of any compost heap. 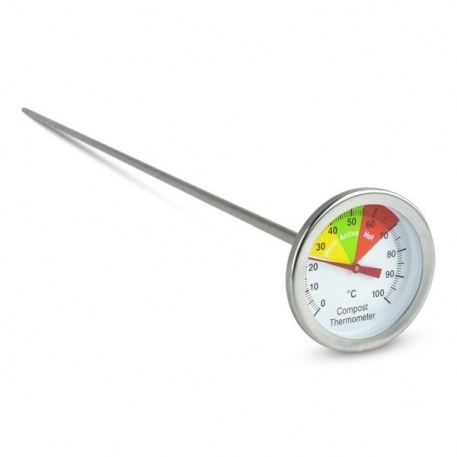 Each compost thermometer incorporates a 50mm dial with a 5 x 500mm pointed stainless steel stem. The dial includes three temperature zones showing Warm, Active and Hot. The scale indicates temperature over the range 0 °C to 100 °C.